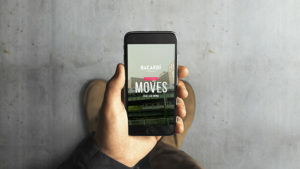 Bacardí are becoming well recognised for their music-centric entertainment by consistently creating content and experiences that push people to “Do What Moves You.” Their latest summer campaign activation, following on the heels of their playful “Dance Floor” film, is no different. “Live Moves”, debuts as the first music video directed in real-time entirely by fans through Instagram and premiered exclusively on the new IGTV. Featuring the World of Dance winning duo, Les Twins, and music by Grammy-nominated DJ, A-Trak, the live dance event took place over 9 hours in NYC (1-10pm EST) on July 6, allowing fans to pick things like locations, choreography, lighting, camera angles, colour treatment, and more – all simply by tuning into @OfficialLesTwins and voting on their various interactive polls throughout the day. 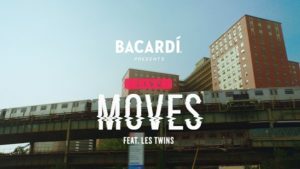 Whatever the fans decided was added to the brothers’ next post, allowing everyone to direct the dance duo and create an authentic music video in real-time. A first-of-its-kind experience for the platform developed by agency partner, BBDO New York. The final music video airs now exclusively on the @bacardiusa and @officiallestwins IGTV channels, while the live experience Story has become a “Making Of” video showing people the poll results and entire directing process.